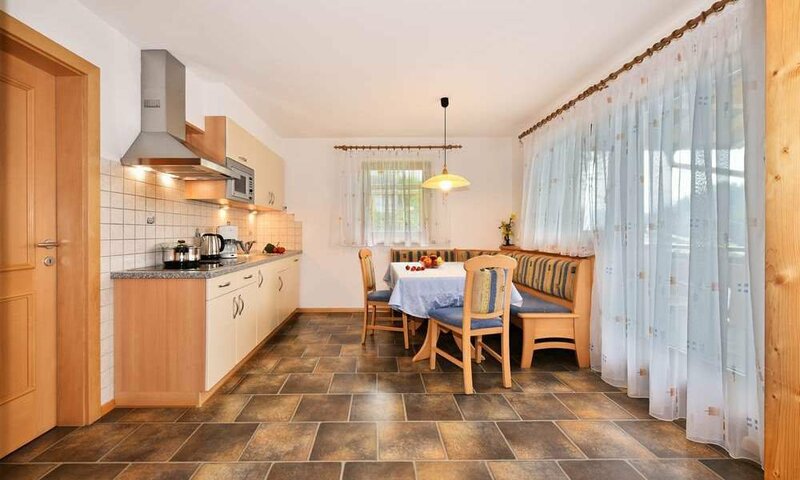 During your farm holiday in Racines – South Tyrol you certainly will not miss any comforts you are used to at home. We offer two different types of holiday apartments: The holiday apartment “Fichte” in Ridanna and the holiday apartment “Buche” in Racines. 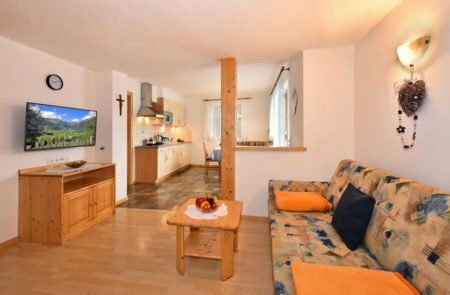 The holiday flat in our mountain farm in South Tyrol offers approximately 40 m2 of space and is a very romantic and peaceful place to feel at home. It comprises a comfortable double bedroom, a fully equipped kitchen and a cosy sleeping couch in the living area. A great place to enjoy a wonderful evening with your loved ones. A “Brettlmarende” (typical late afternoon snack) will make the evening in your holiday apartment in Racines just perfect! The holiday apartment in Racines offers approximately 60 m2 and consists of two bedrooms, one separate living room with a sofa bed, a fully equipped kitchen and of course a bathroom with shower. Here, your entire family may taste our home-made speck and maybe even some fresh mushrooms that you’ve gathered in the nearby forest. 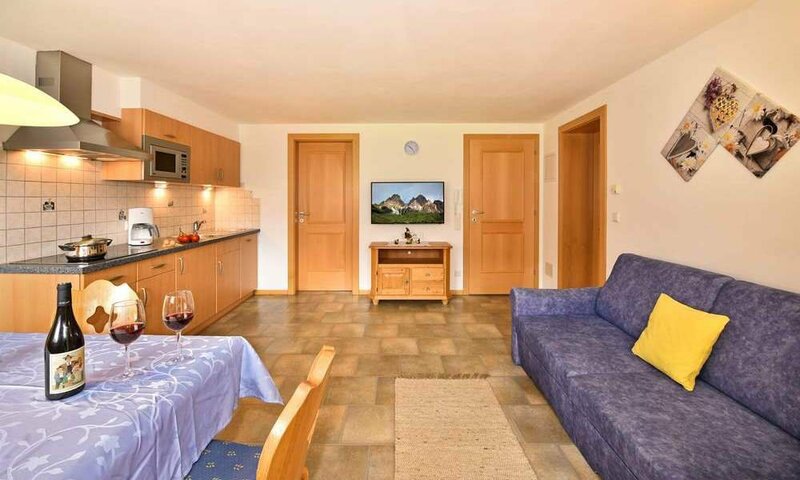 Book your holiday apartment in Racines right here – With us you will certainly find plenty of peace and harmony. 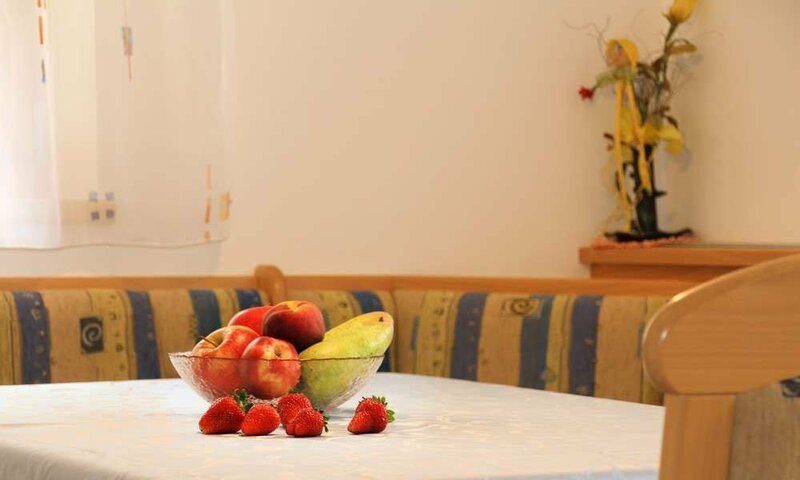 Guests in need of relaxation have the opportunity to enjoy an absolutely peaceful holiday in their holiday apartment. 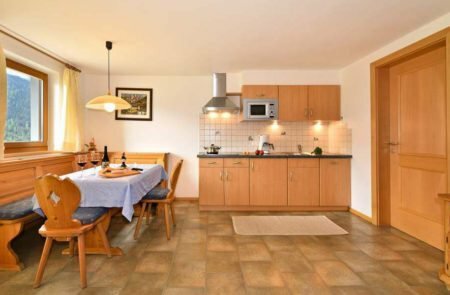 The soothing and inviting ambience in your apartment will remind you of a cosy, secluded alpine lodge in the mountains. Here you find our price list! Book your holiday with us right here! Events for your holiday in Racines and surroundings.